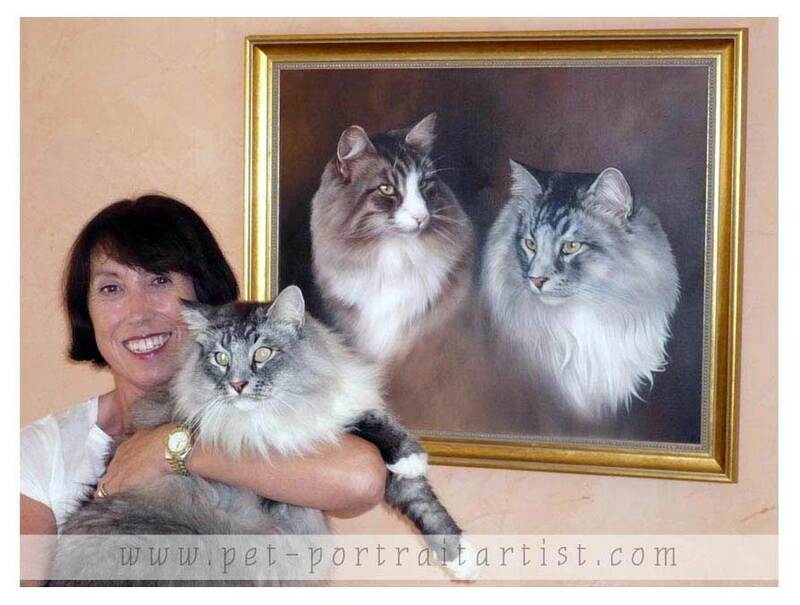 Dear Melanie and Nicholas, It was a great pleasure to be able to speak to you and thank you in person for the wonderful portrait you created of our two 'boys', Barney and Zorro. I've attached a couple of photos of me standing beside the picture which now hangs on the wall in our home in France. 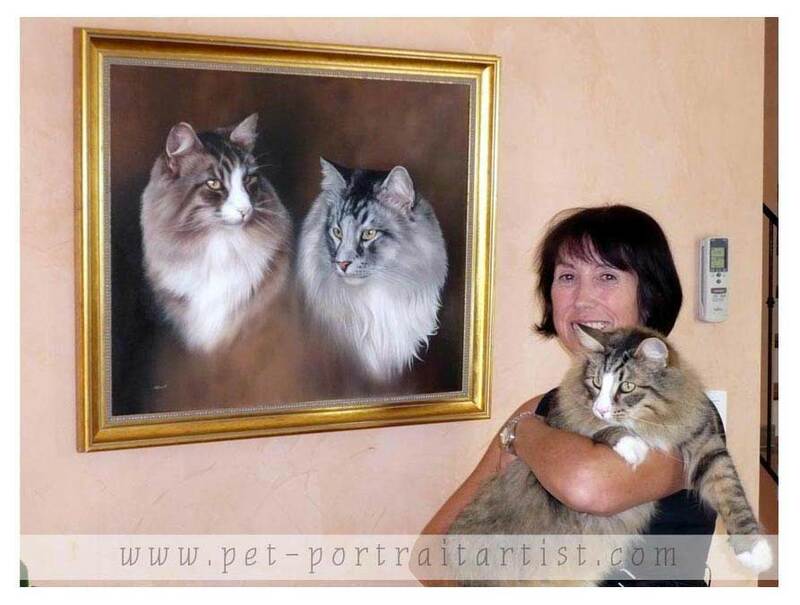 Seeing the portrait of Barney and Zorro, our two much beloved Norwegian Forest cats, which my husband arranged as a surprise present for my 60th birthday, had me in tears of joy. 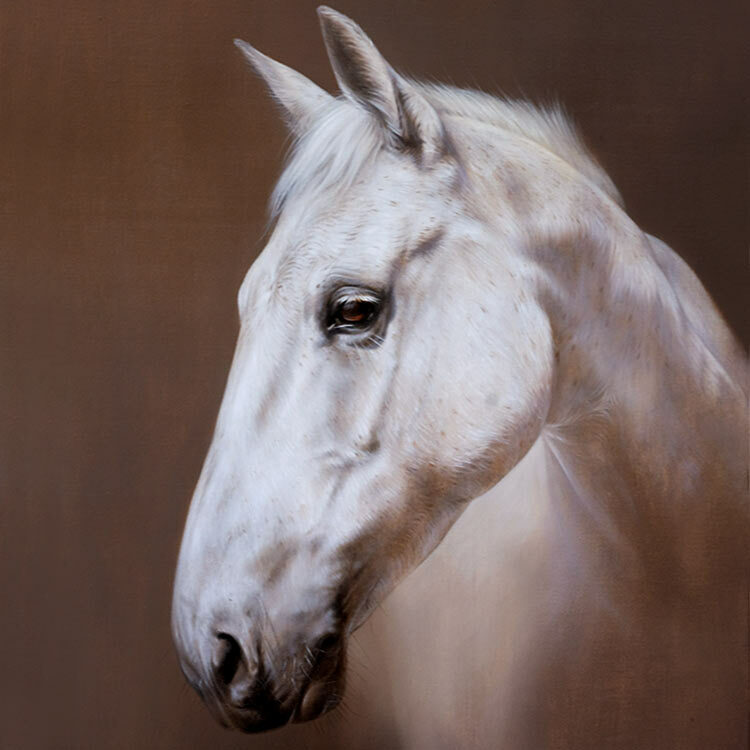 It's a fabulous likeness created with such sensitivity that everyone who sees it marvels at the skill used to produce it. Thanks so much for arranging with Jane the framing so quickly. That's marvellous to get it to my Father on Wednesday, rather than Friday (he was already panicking what to do if it did not arrive on Friday, what time you were sending it etc). Now he can relax and will be able to receive it in good time, before he leaves early Saturday morning. So thank you both so much for all your efforts and do thank Jane for me too please. 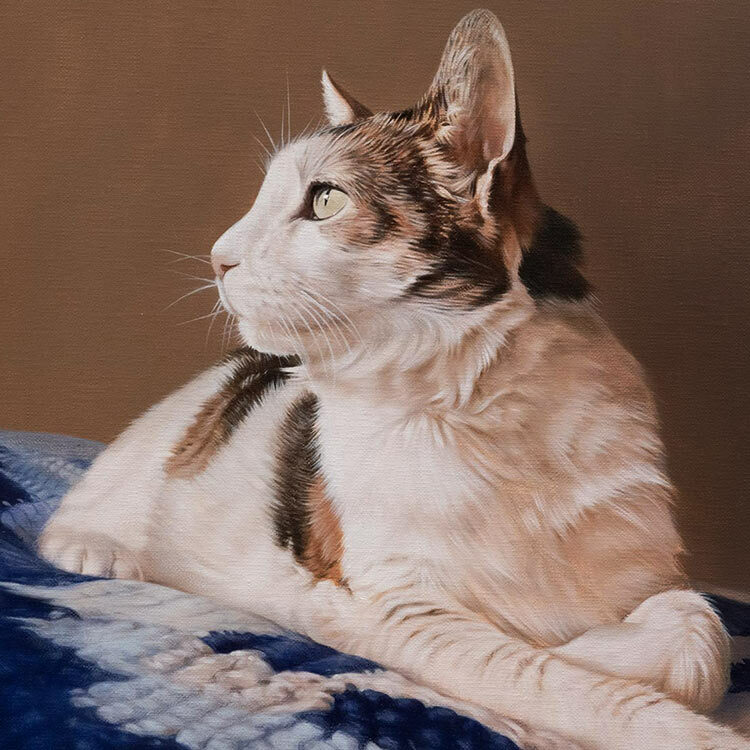 As for the framed portrait, I agree I think it looks terrific and having seen it displayed on your site Ros and I will feel very proud that our cats have been given such prominence. I love it and I have no doubt Ros will too. I intend to give it to Ros on her birthday to mark her milestone. The portrait looks fabulous (even at this distance!). Thank you both so much for all your hard and wonderful work. Nick is certainly very talented and doubtless immensely patient - you seem to complement each others' skills so well!! !